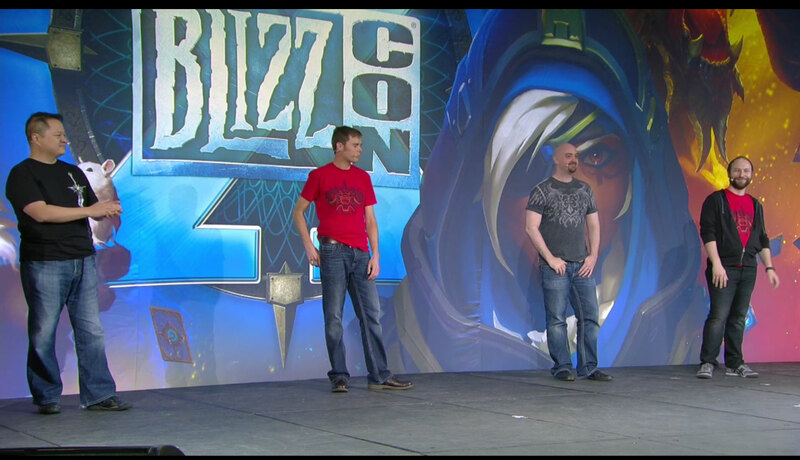 The second day of BlizzCon brings the panel with the devs and the annual Diablo 3 Q&A session. This is a recap of everything that was mentioned and covered during the event. On-hand to talk about the future of Diablo 3 was Kevin Martens, Wyatt Cheng, Adam Puhl, Joe Shely, and Travis Day. There really was not a massive amount of new stuff to fill up a whole hour and the Q&A was pretty lackluster once again. Read all the content from the panel which is also peppered with shots to illustrate some of the changes and features. The team went over what they discussed on day one which included. Wyatt took the stage to talk about more features. The Mystic has an extra tab containing all dyes removing the need to run around the vendors. 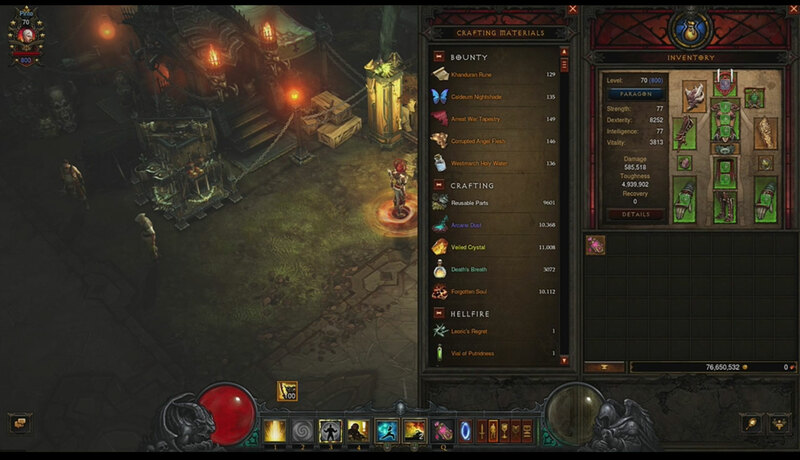 Another bonus roll on legendary gems if you complete a greater rift without dying. The Shrouded moors, windswept desolate place. Temple of The Firstborn – Oldest places in Sanctuary. A place where Lilith came and where humanity first set foot in Sanctuary. “Lovecraftian vibe”. 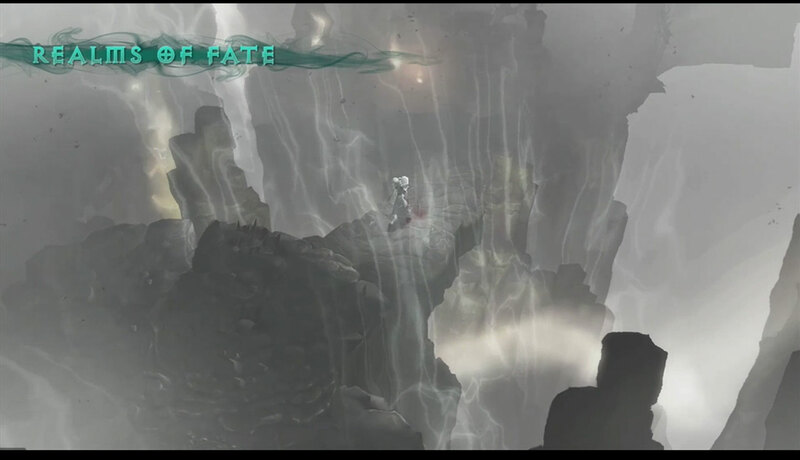 Reams of Fate – Portal zones to move between zones. A new way to spawn monsters which means no more huge areas without monsters. This is based on a new algorithm in 2.4.3. Entrances will now be safe. Invisible monsters will now emerge sooner. This also applies to burrowing monsters. Reflect damage will now send back a projectile so you can dodge it. They want players to discover things you may not have seen before. There’s a variety of classes and builds. You get to learn the layout and become more effective on the build. In other words, you know the layout so you can get faster and faster times. You can compete with friends and other on Leaderboards. Rewards – Beat original runner’s time. Multiplayer – Everyone can jump into the Rift and everyone has the same build. Kevin Martens wrapped up with a closing thanking the community. It sounded like a desperate plea for the Diablo community to stick with them and I get the feeling they know they have dropped the ball and development time is very, very slow. Next came the Q&A session which once again contained many, many useless questions. I really wish that one year someone would really quiz the team on their decisions and not just say “I really love what you have done with…”. Q: Toggling walk or run? Are you ever going to have that? Q: Since all seven of the greater evil are in the black Soulstone. Where’s Tathamet? That logic doesn’t follow. 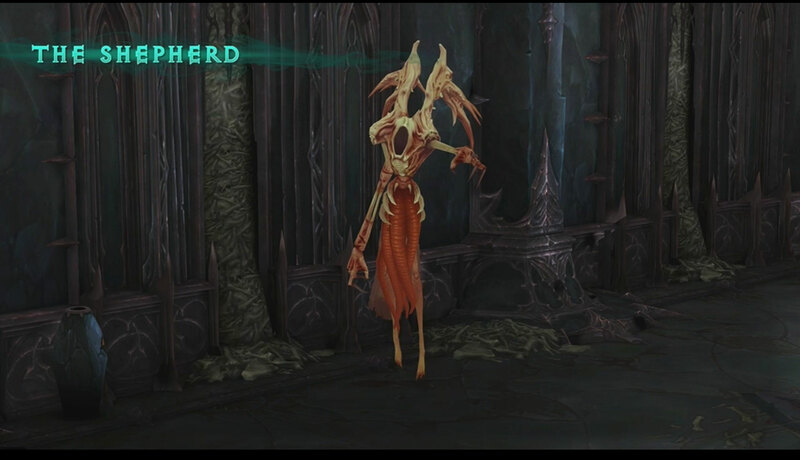 Diablo became the prime evil. We’re not going to spoil anything at this point. 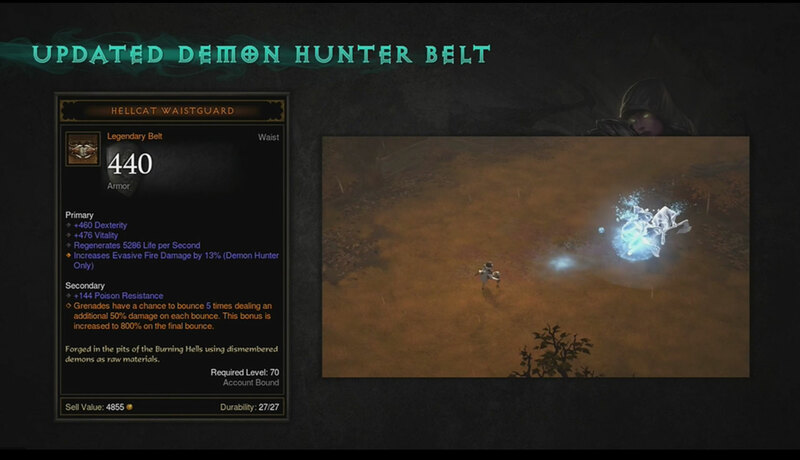 Q: What are the Necromancer only weapons or armour? What kind of weapons are you designing the class to use? A: The class weapon is scythes. The Bone shield is because we had no idea what to put in his off-hand. The current talk is he will have main hand/ off hand combo.We’re still trying to figure it out. I twill function like Wizard or Witch Doctor. Q Any plans for more lore based dungeons? A: In a way. The new zones we have, one is a dungeon, one is exterior. Similar to ruins of Sescheron there will be lore moments in there. The Temple will have story moment in it. But most people play adventure mode. Q: Any plans fo more CGI movies for the storyline, like Overwatch etc. A: We have not. We had the necro yesterday. As far as more story element, we’re often looking to add more ways add more lore to the world. even if you have read the books, We are trying to put lore story in but don’t have anything to say about movies right now. Q: Played the necro as my main. Could you bring back Bone wand as the main weapon? 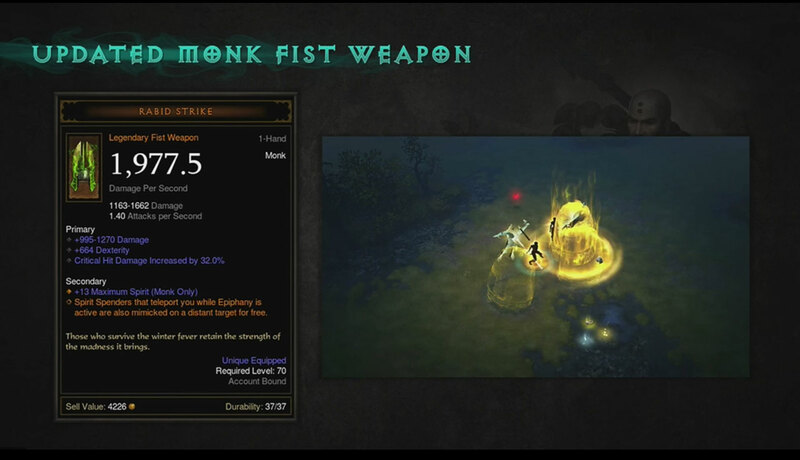 A: I don’t think we will go with that as the main weapon but I can see us doing some Bone Wand weapon for Necros. Q: I was noticing that in the Challenge Rift demo the player was to just skipping all the white monsters. Is that indicative of the strategy? A: It depends on the build. 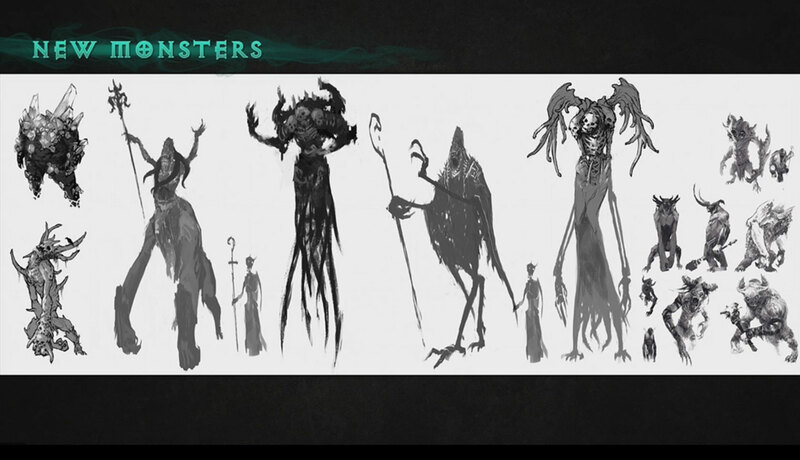 Other builds are focused on killing non-elite monsters as well. The optimal strategy will change based on what it is. Q: What other character were you thinking about putting back into the game other than the Necro? A We had an idea for new classes. Druids were popular in the office, Amazon etc. I think we feel nostalgic for the Necromancer and seemed like the right guy for this year. Q: Are you wanting new annual events or more permanent things? A We lean towards more permanent things. But this is our first annual event and we’ll see who that goes. If having it less frequent we’ll do that. That said we wanted it to last for a long time so a whole month. Q: Will Armory hold items or do they need to be in the stash/inventory? A: They will need to be in the inventory/stash. Q: Are you going to support a controller on the PC or mac? Here is a video of the panel but it probably won’t stay online for long. 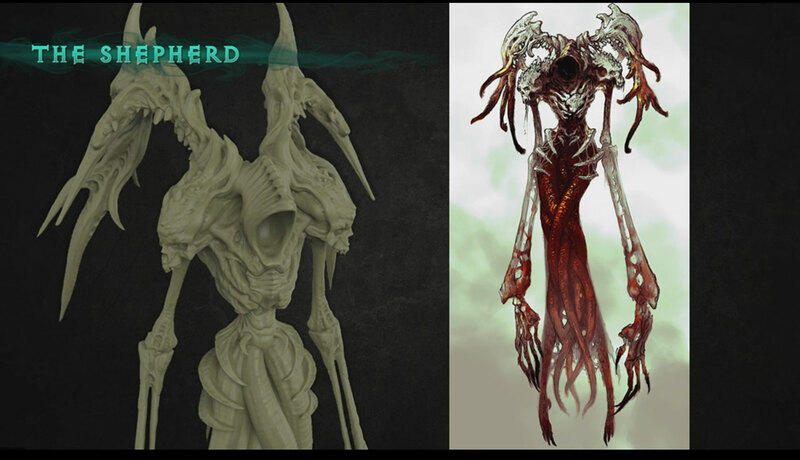 Bone shield is the original Necromancer offhand from D2 original:) That skull from LoD is something else. I’d like to see both Necro bone shields and skulls. For the 1hd/shield-option, both bone shields are a must. Agreed. For example: The bone material growing out and grabbing the attacker like vines, rendering him passive. All damage the Nec would take from other mobs during the duration, would be transfered directly to the enemy held by the shield. 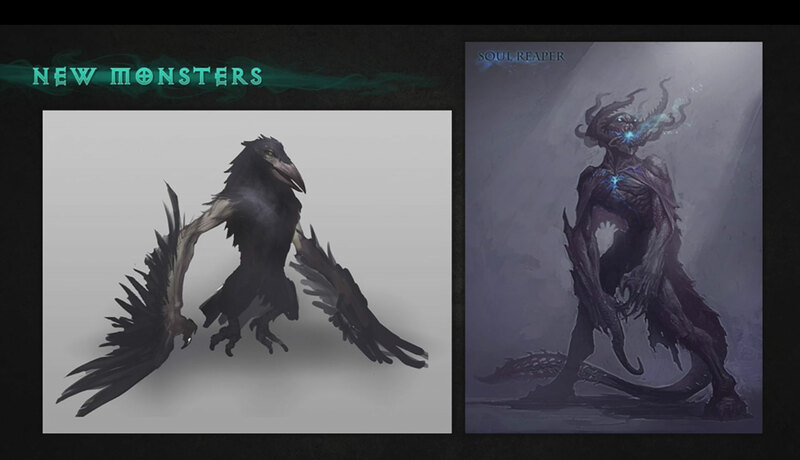 – Shield is being used as a medium to transfere the skills effect to his minions (: Can’t call them Pets, now can we?). Though not being triggered by attacks on the Nec himself, anymore. Sorry: Meant active skill! Not primary. A little disappointed that they’re thinking of going with an off-hand item instead of shields. Only Crusaders really use shields with any regularity and the bone shield is pretty iconic of the Necromancer. They didn’t get shrunken heads and stuff until LoD. Basically I agree. Another shield-class would be favorable to the game. The Nec is more rooted into the arcane, though. Thus I’d rather prefere a small focus on shields in the skillset, while still having the option of offhands, other casters have available. I don’t think going with class-specific shields is a good idea. 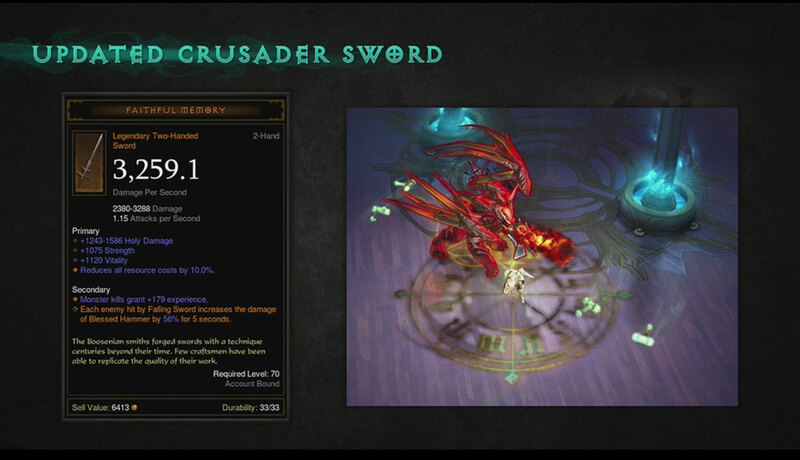 For Crusader it’s acceptable because you’re always going to use one, either with a 1hander or a 2hander. With necro, you’d be heavily restricting their access to 2handers. 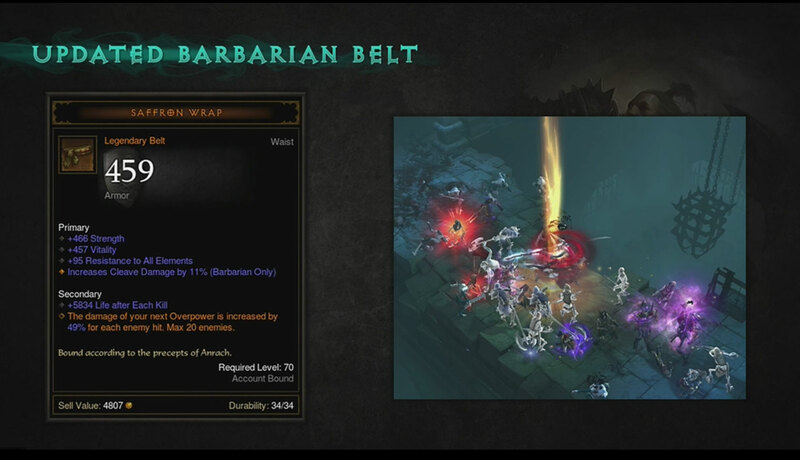 For example, a barbarian can use their class-specific belts regardless of whether they’re using a 2hander, dual wield, or sword and board. 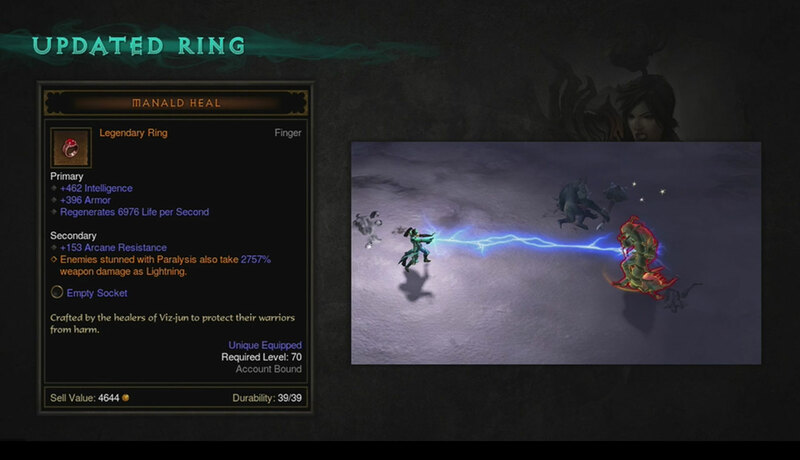 If necro’s class-specific is armor or jewelry, then they can choose to either use a 2hander or a scythe + offhand. I don’t think jewelry is practical since it’s such a highly-contested slot and very powerful. So I think armor made of bone on whatever slot (likely not boots) makes the most sense. These questions from the audience are terrible as usual. It’s like they ask the worst question then I wonder if this is the “fans” that they talk about working for. There was no question about revamped the horrible Paragon system that make the game about grinding levels more than grinding for loot. The crafted shield Wall of Man (that no one uses, currently) could be made Necro only and reworked to make it synergy with the old D2 spell Bone Shield. 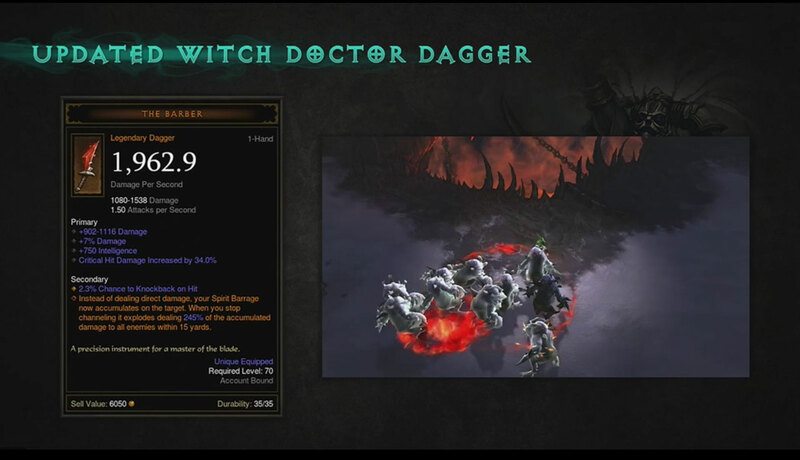 Also remember that Necro melee builds could use daggers too. I just want to know how the translation from D2 skill tree to D3 over-simplified skill scheme will work, but I’m guessing that it will leave out iconic but no so popular skills that have not been mentioned like poison dagger, poison nova, iron maiden, revive, etc.